With London Comic Con 2014 now in my rear-view mirror, I thought I’d take some time to highlight the highs and lows of my experience. As the doors were to open at 9am sharp, I hightailed it there and arrived at about 8am to skip the queues. 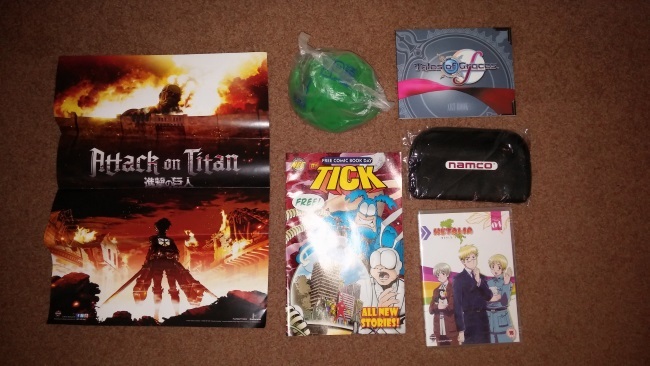 Early arrivers all received a little goodybag which contained an Attack on Titan poster, The Tick Comic, Ben 10 miniature soccer ball, Namco pencil case, Tales of Graces Art Book, Hetalia World Series DVD and the usual ads and brochures. 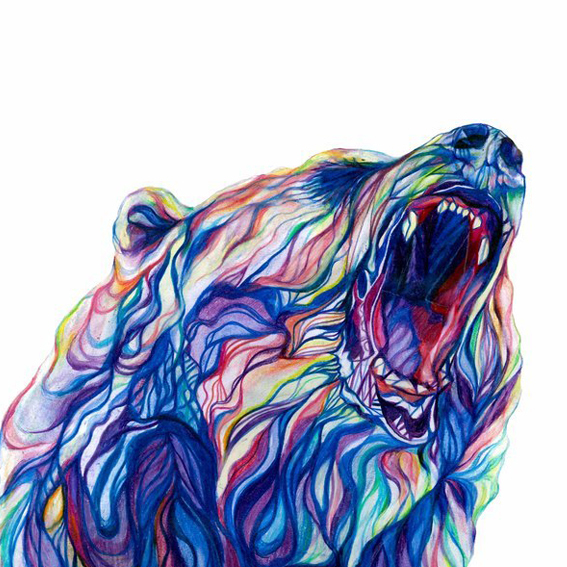 Once inside, the atmosphere was electric. Kids and adults of all ages wondered around in the lengthy hall waiting for the main gates to open. I took this time, to grab a quick coffee and pull up a map and itinerary from London Comic Con’s website to plan my day. Once the main gates opened, I bee-lined to the game consoles to try out a few games before the queues started. Unfortunately, the game I really wanted to play, Naruto Shippūden: Ultimate Ninja Storm Revolution, was extremely busy throughout the day, and I was forced to skip it completely. The Oculus Rift was on show, connected to simulated motorcycle video. This was my first experience with the Oculus, so I patiently queued for my turn. Though the Oculus itself was impressive, the framerate of the motorcycle video was abysmal and did not impress. It may have just been a problem during my session, but after a 40 minute wait in line, I expected more.